Investing in emerging markets can be risky, but there are plenty of safe bets in Brazil, Russia, India and China. ArcelorMittal is the world's largest steelmaker, with facilities in more than 20 countries. The company, formed when India's Mittal Steel merged with Luxembourg-based Arcelor in 2006, is a leading suppler of steel for the auto industry and has many strategic partnerships with manufacturers and construction companies around the world. The company has been making strategic investments in mining iron ore and coking coal. ArcelorMittal still produces most of its steel in the Americas and Europe, but 18% comes from places like Kazakhstan, South Africa and Ukraine. 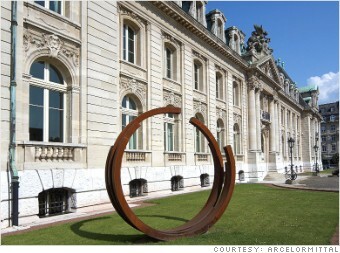 ArcelorMittal (MT) reported a 21% jump in revenue in 2011 to $94 billion. Even with the impressive sales gain, the company has not been immune to the global economic slowdown. Analysts expect sales of only about $87 billion this year. But longer term, analysts expect profitability to pick back up.